What is a chakra clearing and how do I know if I need one? Chakra are energy points in your body that help sustain your life force. There are seven major chakras that line your spine, hand and foot chakras, grounding earth chakras and many chakras connecting you to higher dimensions. The major chakras within your body not only effect your mental and physical health, when cleaned of etheric debris they can intensify your intuition and help heal your mind, body and soul. During a chakra clearing, I will guide you with voice activations to open all of your chakras and seal your aura. After which you will feel centered and calm. Your life will receive an energetic quickening. Synchronicity will speed up and blessed people, places and things will enter your life at a faster rate. What should you expect from a reading with me? If you have specific questions, the reading can go to the heart of each issue more quickly. I will use the four clairs- seeing, hearing, knowing and feeling to look into your problems. 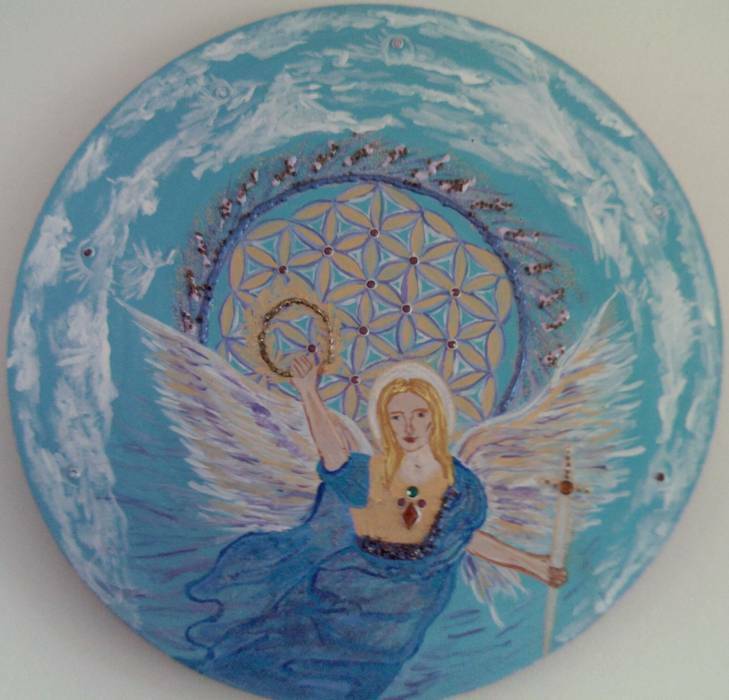 As an Angel Therapy Practitioner, I have learned to receive divine guidance for myself and others. Through this process, I am able to help you make better choices so you experience more happiness in your life. As a professional astrologer, I can also check your astrological chart for more clues for timing and karma issues. Karma is basically unfinished business that you must move through in this lifetime. This can be done in many ways and is not always unpleasant. You can learn to burn through your karma in positive ways by taking the high road outlined in your astrological chart so you don’t create more. The astrological birth chart is extremely precise when accessing past relationships and future experiences. It is basically a map of your physical soul path in this lifetime. It can help explain the divine purpose behind past experiences that left you baffled. It can point out your strengths and weaknesses which once known can help make better decisions. I also use the tarot and numerical information to further confirm the information I see, feel, hear, and know. So, you have a more accurate picture and can make better choices. Also, I am able to tap into the other side and connect you with those close to you who have passed. They are basically angelic energies speaking through me and have a comforting and healing effect. I can also tap into your pets and speak to you for them which is always inspiring as most animals are highly intelligent and have grounded and sound wisdom. 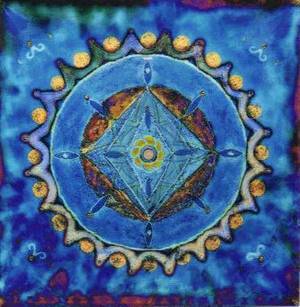 Chakra clearing is another gift that I share in these reading if it is requested. Please follow the link for a complete explanation. June into September, we head into a taste of Uranus in Aries. This is a highly charged time that can manifest in the negative as rage or in the positive as brilliant artistic expression. Even if you don’t consider yourself an artist, consider this. We are all artists in some way. Artistic expression is a natural, healthy and necessary state of being. You have to get in touch with yourself, your inner self when you express artistically. Art is your own gentle sense of expression that makes the world a more beautiful place! Art is healing as it can send you into a type of active meditation were you access parts of your brain that can generate ultimate relaxation, harmony, peace and true fulfillment. Healing art is not stressful and this is something that distinguishes personal peace. No stress activities that involve personal creativity are necessary to recharge our energy. Find your own type of gentle artistic expression to help guide you through the summer. It will ground you in peace as the world around you rocks and rolls. We are living in astounding times. Our world is being turned upside down. There are astrological influences in the sky that have not appeared since ancient times. Some, we have never before seen in our lifetimes. What does all this mean? I believe that something strange and wonderful is happening right now. That if we can open our minds and hearts, we can be part of a new millennium of oneness and interconnectedness that is mind-blowing! This new world is here right now waiting for us to wake into sight of it. The actual reality around us NOW. Forget what we have been programmed to see. What is actually there around us and has always been there around us, living with us, loving with us, sharing our beautiful blue-green planet with the lightest imprint of all! 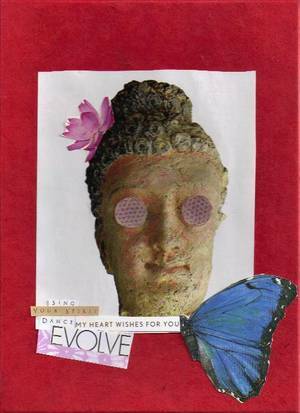 The master ingredient we need to really see this new world and merge into this world is LOVE. Sure, we all think we know what love is and think we have experienced it, yet look around you. Do you see love everywhere you look? Have you really given yourself permission to love with abandon, to burn through your inertia with LOVE? Or are you longing and yearning for someone else to Be the Love? I will explore LOVE through spiritual readings and astrology, art, poetry, music, video and visionary novels. Some offerings are free, others are intentional tools for these times. How do we stay in the immense vibration of LOVE so we can BE the miracles we have been waiting to appear in our lives? Please come on this journey with me. You are inspired to stay in the highest vibration of fun while you surf my website. I offer intuitive spiritual counseling ,with free astrology blog, fun art cards, and visionary novels. Later, music CDs for sale, free music downloads and videos. There are also other links to other websites I endorse within the spiritual community. Some say that laughter is the best medicine, Some say that laughter is the antidote to sin. Some say that laughter is a waste of good time, I tell you laughter is fully Divine. This planet has a bunch of serious folks. They just don’t get the Great Cosmic Joke! And some spend their lives in hot pursuit , Of what they call the Cosmic Truth. But I heard a joke in the heavens above…Laughter is Truth…And the punchline is Love! After years of giving tarot, palm, energy, crystal, sound, bodywork and astrology readings I am convinced that there is nothing to heal and nothing to teach. You know on many levels what you need, who you love, what you want and who you trust. I have learned to step out of the way and hold a space for you so you can actually slow down and hear yourselves. I use powerful deep listening to achieve this. I have opened many levels of psychic tools within myself. I see, hear, feel and know things on a deep level and I share these insights objectively. We all have many gifts and are in different stages of developing them. As we travel further into this millennium, all of us will have greater and greater access to our original DNA. This in turn will give us access to deep gifts that have been buried within us for years. You may be feeling the presence of these gifts now! I am available as a guide or mentor to help you usher in your true soul qualities and find your own individual TRUTH. Please give yourself a gift and enter into a dialogue with me.